Chic Guest book - Champagne colour. 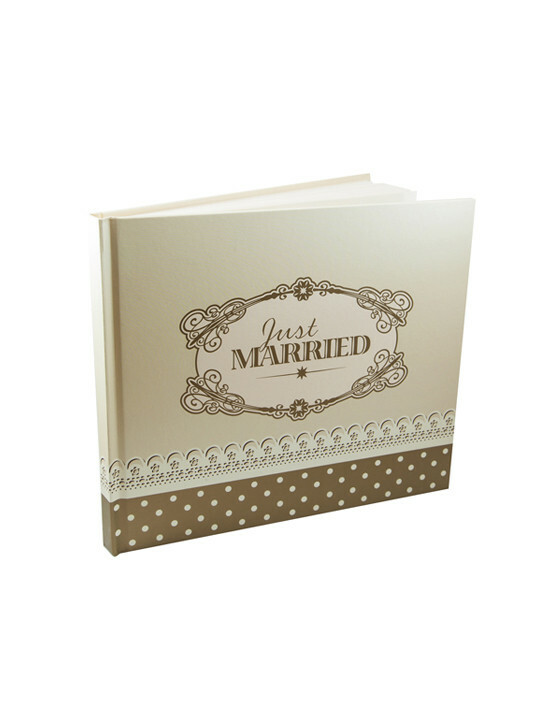 Decorated with a romantic notice on the cover: "Just Married". 35 pag. Size: 22 cm x 19 cm.